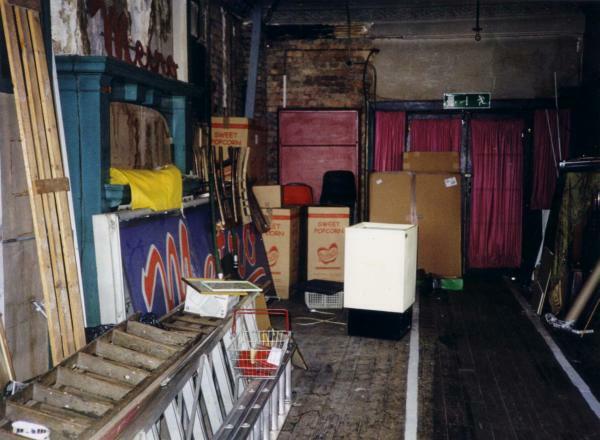 The photographs on this page show the Majestic / Gaumont / Odeon / Metro Cinema, Ashton. They appear here by kind permission of Stephen Hill. They must not be reproduced without permission. The cinema opened in 1920 as the Majestic, built in what was at the time a modern Art Deco style. 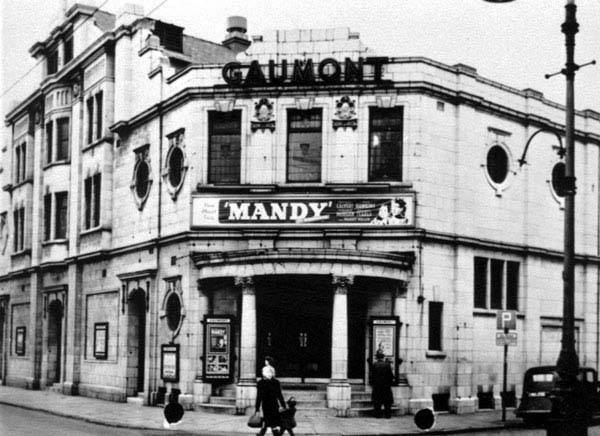 In 1946 the name changed to the Gaumont, and in 1962 to the Odeon. It was the Metro from 1981 until it closed as a cinema in 2003. 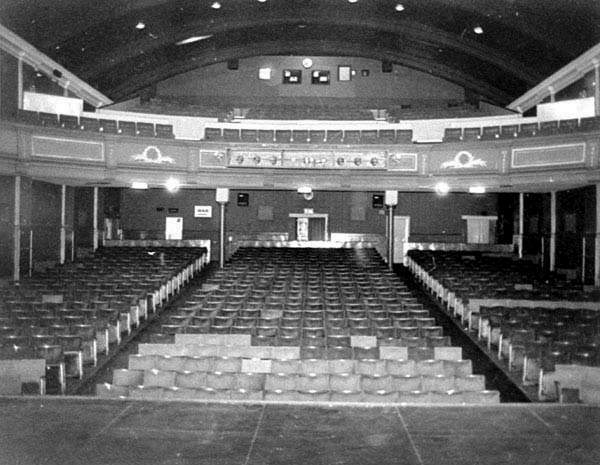 The cinema when it was the Gaumont. The foyer of the Gaumont. 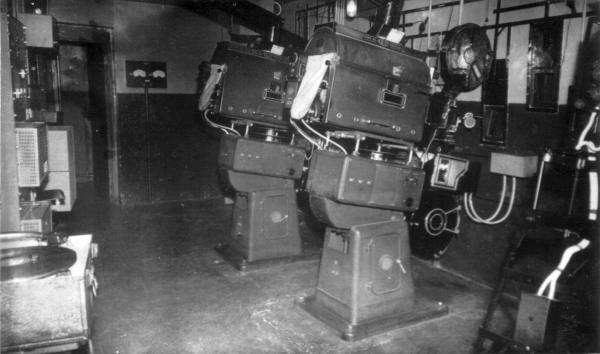 The projection room in 1949, when it was the Gaumont. 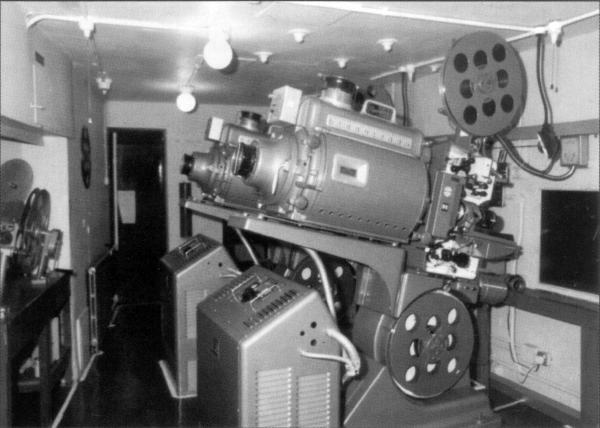 The projection room in 1985, when it was the Metro. The auditorium of the Metro. 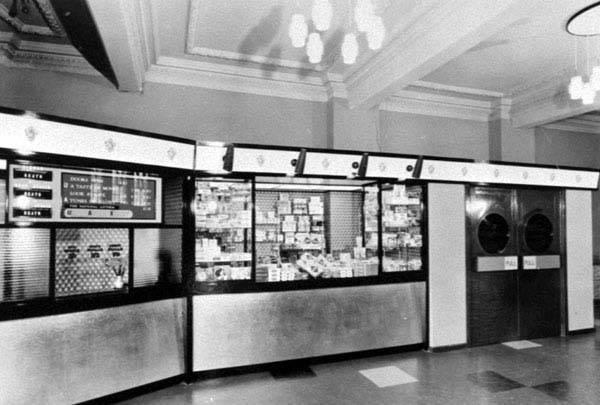 The former café being used as a store room. The original fireplace is on the left, painted blue. 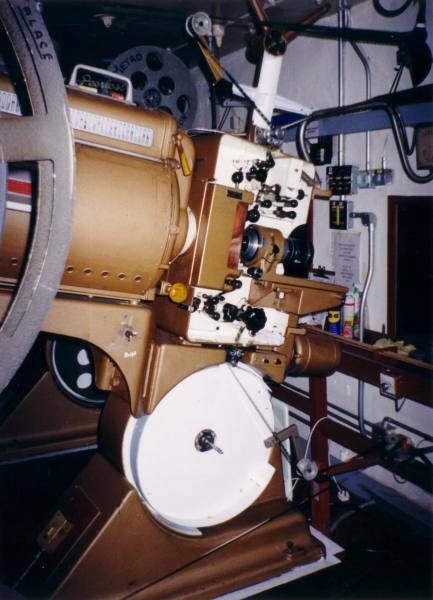 The Metro projection equipment in 2003.